Steel is a wonderful material, but it can be corroded by the elements and air pollution. 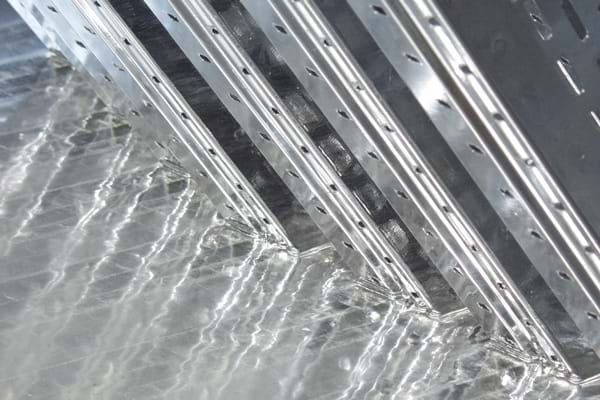 Hot-dip galvanizing protects steel from corrosion in a cost-effective and environmentally-friendly manner and considerably increases its lifetime. Hot-dip galvanizing involves dipping steel into a zinc smelter at approx. 450°C following the appropriate pre-treatment. Zinc and steel will then react with one another. An iron-zinc alloy will form on the surface of the steel. This indissoluble compound of zinc and steel creates a protection, which is clearly different from all other processes. Hot-dip galvanized surfaces are not just protected from wind and the weather but also ideally protected from mechanical exposure – for decades to come. Under normal conditions, hot-dip galvanizing will protect against corrosion for up to 50 years and generally more than 25 years in the case of higher exposure levels.